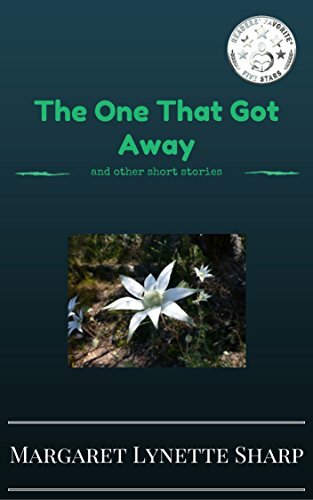 Four stories centering on familiar themes and characters with surprise endings. Each story features one protagonist speaking to the reader in first person. The first story showcases a frog who was once a king now trying to woo his sweetheart. In the second book, a little chickadee discovers there is a certain someone that he cannot get off his mind. How can he tell her that he loves her? 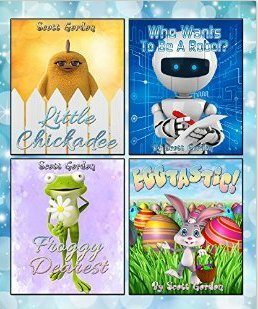 The third book features a rather self-centered Easter bunny who is attempting to train the “new guy.” He gives a lot of history about the Easter bunny and what it takes to fill the job. Finally in the fourth book, a robot from the planet Infinim, which is a replica of earth, is interviewing candidates who want to be robots for his planet. Readers will be surprised at the current candidate who is interviewing for the position. Who is he and will he make the cut? The photos and illustrations are delightful. While the stories feature somewhat familiar characters, the clever surprise endings will delight both the child and adult reader. Each story is about the average length of a picture book. These tales are targeted for the three to six age audience, but older children will appreciate the subtleties and clever twists. The collection is a nice set of bedtime stories or family read aloud. Highly recommended. If you enjoyed reading this post, please subscribe by clicking on the word Follow or by hitting the orange RSS FEED button in the top right hand corner of this page.